Mallusk Harriers | Right to the line…. 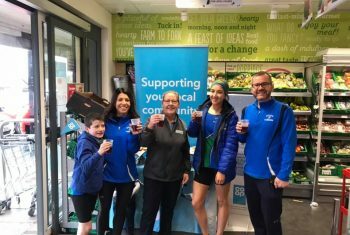 We are delighted to have been selected as a local cause by the Co-op Community Fund. 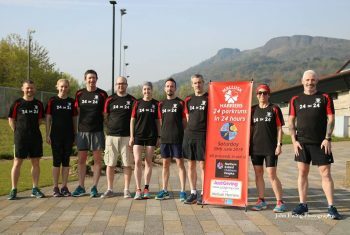 On 29th June 2019, a team of Mallusk Harriers will be completing 24 parkrun routes in 24 hours, aiming to raise £10,000 for the Northern Ireland Children’s Hospice. Interested in joining the Mallusk Harriers? Find out more about the Mallusk Harrier’s training schedule. Welcome to the website of Mallusk Harriers where you’ll find information about the club, how to join and get involved. Our weekly schedule of training for road running, cross country and track & field activities is outlined along with the coaching programme for each. You will certainly be assured of a warm welcome. While we have excellent facilities available to us for training (the Academy Club and City of Belfast Playing Fields, Park Road, Mallusk), we pride ourselves on developing the social aspect of the club beyond the training dimension. 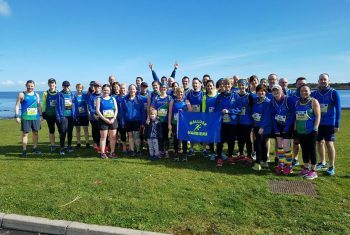 Mallusk Harriers is a welcoming and friendly running club. We are a young club but we are determined to do everything we can to help our members be the best that they can be. We are proud of our membership and strive to help each and every runner that comes to the club. As we like to say… right to the line.